Joy to the world! This week I’ll be sharing Olio in Iowa’s 2018 Holiday Gift Guide for every type of traveler on your holiday list. From the stylish jetsetter to the intrepid roadtripper, I’ve compiled some of my favorite items so you can give a little bit of adventure to everyone on your list this holiday season. One of the things I’ve come to love most about living in Iowa, and Des Moines specifically, is the pride that people here have for their city and state. Iowans will never miss an opportunity to tell you why they love living here. On a regular basis, I notice that people from Des Moines seem incapable of bragging on their city more than once and awhile. In fact, it’s become one of my favorite things about central Iowa. It’s one of the reasons I jumped at the chance to be a part of Brand Launch’s Hummingbird Project, where I’ve really enjoyed lifting up local businesses with other like-minded Iowans. It’s something that continues to delight and encourage me the more Iowans I meet. 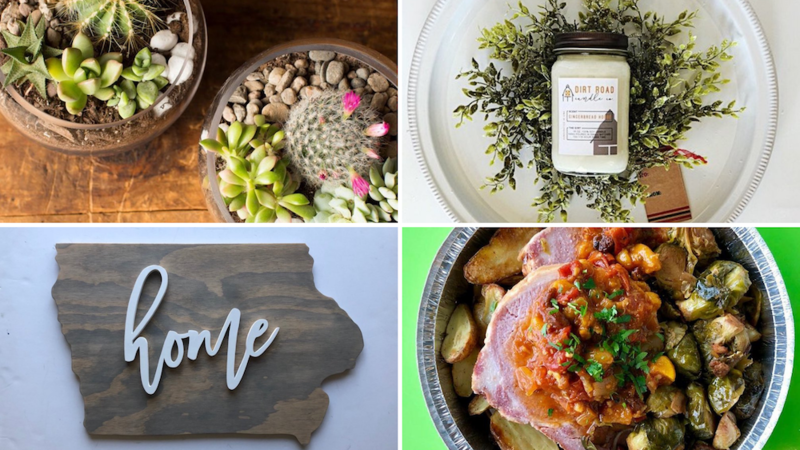 So in the spirit of celebrating some of my favorite central Iowa small business owners, I’ve compiled a handful of ways you can give a little piece of Iowa to everyone on your holiday list. These gifts for the lover of all things local are sure to be hits with the Iowans in your life.